Craft this charming Mother ‘N Daughter Apron Set for you and your mini-me. The beautiful pieces will definitely make any chore more fun and bearable! Make them in your favorite colors for a personal touch. 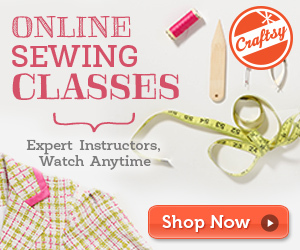 In fact, this project is perfect for crafters with intermediate sewing skills. The pattern includes detailed written instructions on how to make the aprons in three sizes: Small (for kids ages 3 to 7 years), Large (for kids 8 to 13 years) and Adult. This easy to make craft is a wonderful creation by the amazing team over at 5 Berries. In fact, you can access the FREE downloadable pattern for these aprons from the Craftsy website. Featured image: 5 Berries – thank you!